Valitor is Craft Bakers Association preferred card payment supplier. This case study highlights how we have improved the efficiency of one member’s bakery, simply by introducing card payments to their business. 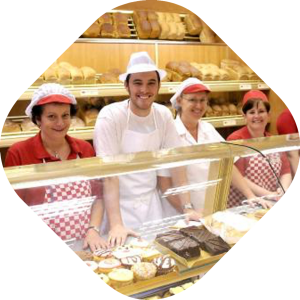 Hurst’s Bakery has been a successful baker, serving the people of Birkenhead & the Wirral with fresh bakery products for over 100 years. Established in 1909, Hurst’s bakeries have grown considerably in size and consist of a chain of 9 shops. Hurst’s Bakeries did not previously accept card payments before joining Valitor. They operated a “cash only” business. However General Manager, James Clarke felt that introducing card payments to the shops would be an important facility. He hoped that the card terminals would aid growth and he had noticed it was something that his customers were asking for more frequently. James got in touch with Valitor after he heard about our partnership with the National Craft Bakers Association, where CBA members receive preferential rates and money towards their CBA membership. Hurst’s Bakeries now accepts Debit cards, Credit Cards and Apple Pay including Contactless in all 9 shops. Accepting card payments has certainly had a positive impact on Hurst’s Bakeries. As well as providing a modern and up-to-date payment service to their customers, James has noticed a dramatic increase in sales. 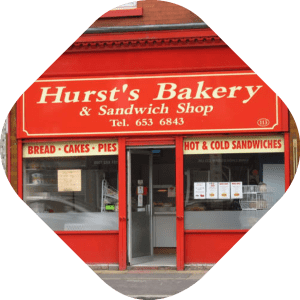 Introducing card terminals to the shops has also enabled Hurst’s Bakeries to accept card payments over the phone when taking orders and deposits for their Buffet Service. Hurst’s Bakeries would have no hesitation in recommending Valitor to other businesses looking for a card payment facility. James stated that customer service has been excellent from start to finish. He was also impressed that he had a designated point of contact, which supported him through the booking and setup process. “We were unsure at first how the whole setup process works, but with Valitor’s helpful customer service and a range of terminal options you will be up and running in no time at all”.